True Price is a social enterprise with the mission to realize sustainable products that are affordable to all by enabling consumers to see and voluntarily pay the true price of products they buy. We envision a world where all products are sold for a true price. If a product is sold for a true price, then no damage is done to people or to nature: it is fully sustainable. If all products are sold for a true price, then the global economy is sustainable. The mission of True Price is to realize sustainable products that are affordable to all by enabling consumers to see the and voluntarily pay the true price of products they buy. In 2012, True Price was founded and it in the subsequent years developed into world leading expert in methods and tools to measure and monetize societal impact. It calculated the true price of dozens of products around the world and saw a growing appetite for the idea among companies, governments and consumers. In 2018, we feel that the time is right to focus on realizing true pricing, a system where consumers and businesses can see, improve and voluntarily pay the true price of their products. How is a true price calculated? 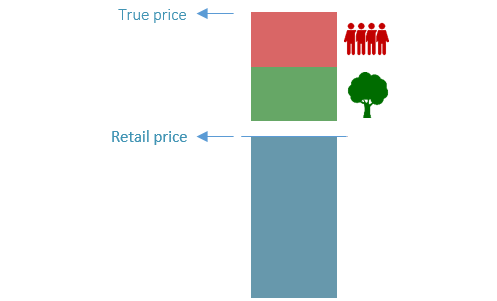 True Price applies tested methodologies for impact measurement and valuation to calculate the external costs throughout the supply chain. This is a standardised 3-step process, which is applicable across all sectors and regions. We build impact pathways and databases to capture all relevant externalities based on a combination of data available at our clients and own research. The impact database provides input for quantitative impact measurement. The result is an overview of the environmental and social footprint of the commodity under investigation. Impact is monetised using objective and standardised valuation models. True Price employs professionals who have a heart for a better world and the brains for rigorous social and environmental analysis. Are you interested in working at True Price, all of our vacancies are now offered through Impact Institute. Have a look at our vacancies. True Price is supported by a team of True Pricers working for the Impact Institute. Michel Scholte is Executive Director and co-founder of True Price. He holds an MSc in Sociology from the VU University Amsterdam, where he specialized in social research, agent based modelling and living wages. 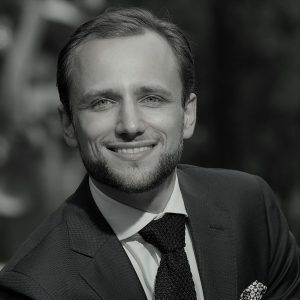 In addition, he is a member of think tank Worldconnectors and alumnus of the World Economic Forum Global Shapers Network. He holds various international advisory board positions in the field of impact measurement and valuation. Michel is also director at Impact Institute. Adrian de Groot Ruiz is Director of True Price. Previously, he was Assistant Professor of Finance at Radboud University, where he did research into behavioral economics and sustainable finance. Adrian holds an MSc in Econometrics and a PhD in Economics from the University of Amsterdam. 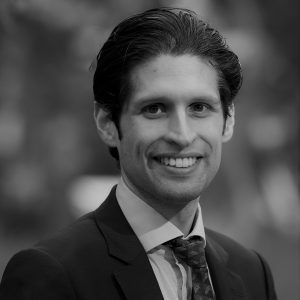 Adrian was a member of the Global Shapers (a World Economic Forum community) Amsterdam and of think tank Worldconnectors, where he co-chairs the working group addressing the Dutch corporate Post-MDG Agenda. For years, Adrian has been listed in the top of the “Sustainable Top 100″ , a list of Dutch professionals who are active in sustainability. Adrian is also Executive Director at Impact Institute. Maarten Rijninks is Director of Retail at True Price. He has extensive experience in wholesale, retail trade, and brand development. Next to True Price, Maarten is co-owner of an independent supermarket in the centre of Amsterdam. Previously, he was Managing Director of a retail chain (85 shops), FairConnect Ltd. and AgroFair Ltd. Before this, he built a track record in the area of organic and Fairtrade consultancy. Previous employers include Novotrade, AgroEco and Stichting Natuur & Milieu. 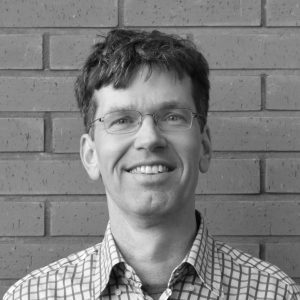 He has held various supervisory board positions (as GreenWish and FairMatch Support) and hold a MSc degree in Sustainable Agriculture from Wageningen University. Herman Mulder is the chair of True Price. In addition, he was a former Director-General, Head of Group Risk Management at ABN AMRO Bank (1998-2006) and Head of Global Structured Finance (1995-1998). He was the initiator of the Equator Principles (2002/2003). After his retirement from ABN AMRO Bank in 2006, he was, inter alia, Board Member (2007-2014) and Chairman (2011-2013) of the Global Reporting Initiative (GRI) and Board member of Utz Certified (certification coffee, cocoa, tea). He was an independent member of the Dutch National Contact Point for the OECD MNE Guidelines (2007 – October 2016). 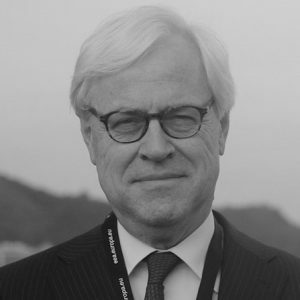 He is currently a Fellow at Nyenrode Business University (focusing on “Making Business and Markets fit for Sustainable and Responsible Purpose”), co-founder and Chairman of True Price Foundation, Chairman of the (multi-stakeholder) SDG Charter Coalition Foundation, board member of the Human Cities Coalition, Worldconnectors, and a member of the TEEB Advisory Board (The Economics of Ecosystems and Biodiversity); he is ambassador of the IIRC (integrated reporting). He is currently leading an SDG-related initiative by the Dutch financial sector on i.a. blended finance. He was mentioned among “the 100 most influential people in finance” by the US Treasury and Risk Magazine (July 2007). He is (since 2005) a Knight in the Order of Oranje-Nassau.